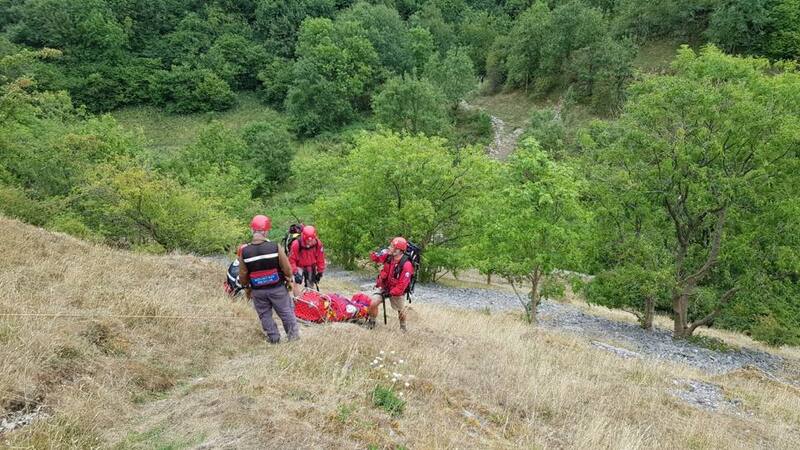 The team was called to help a lady walker from Irlam, Manchester who had experienced a medical collapse whilst walking in Lathkill Dale. 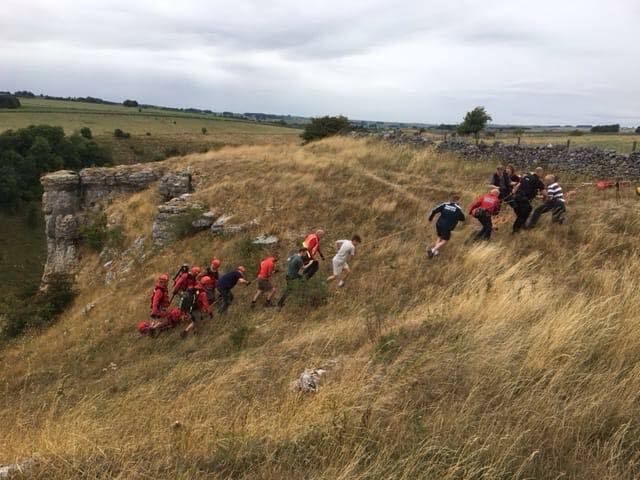 The team assembled at Haddon Farm then headed into the dale with to assist East Midlands Ambulance Service paramedics. 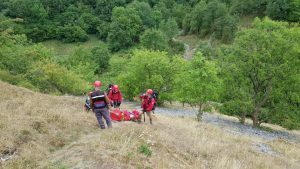 The casualty was assessed on scene by paramedics and team cas carers before being placed on a stretcher for the steep ascent to the awaiting ambulance. The team was assisted by two specialist police units from Derbyshire Constabulary and members of a Woodbridge Rugby Union Football Club who were staying on the Haddon Farm campsite.